The Mineral Products Association (MPA) ‘Quarries & Nature 2017 – Appreciating Assets’ event took place on Thursday 19th October at The Royal Society, London and was presented by BBC Radio 4's Farming Today presenter, Sybil Ruscoe. Expert speakers included a number of current issues related to nature conservation. They were Stephanie Hilborne OBE, Chief Executive of the Wildlife Trusts, Professor Steve Ormerod, Cardiff Professor of Ecology and until recently Chairman of RSPB and Tom Butterworth Associate Director of WSP. 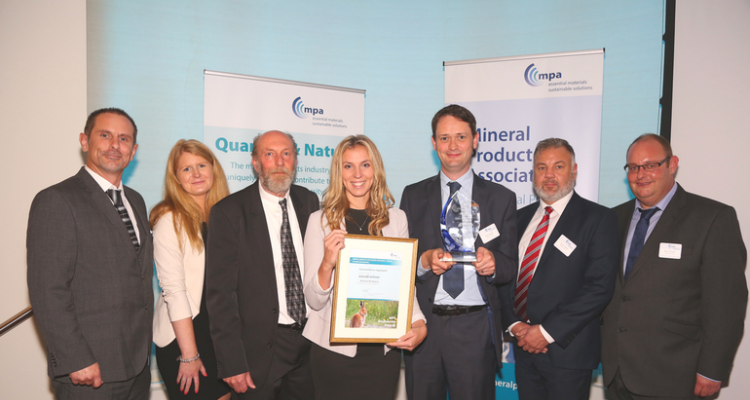 The MPA’s 46th Awards recognised exceptional practice and showcased some of the best examples of quarry restoration and wildlife conservation anywhere in Europe. Raymond Brown were presented as winners of the Biodiversity - Planned Restoration category by Sir Desmond Swayne MP who praised the restoration work and entrepreneurial spirit of the business. 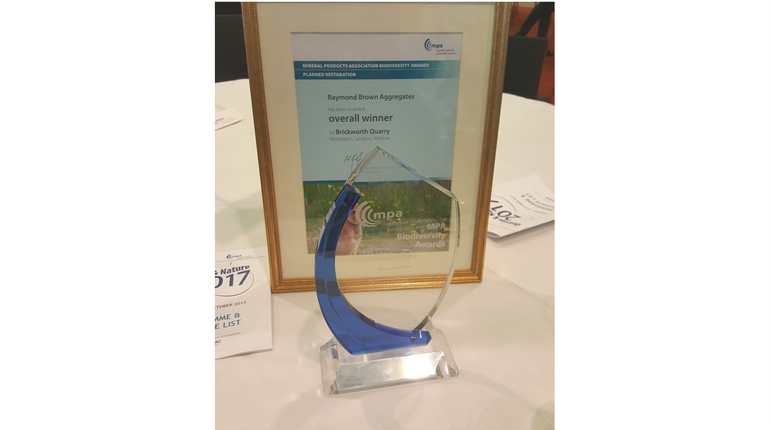 The award was for Brickworth Quarry, where Raymond Brown recently gained permission for an extension to an existing operation. The area to be quarried is currently commercial coniferous plantation, but it was originally broadleaved woodland and the soil carries a rich seed bank. A robust handling strategy has been designed which relies on moving soils only once, using direct placement to the area of restoration.